"We didn't mean to get into trouble. The trouble always found us..."
This is a book about ordinary kids who get into extraordinary trouble. What happens when Kovar brings his sister's cat from the dead? What happens when Adam finally goes boogie boarding? Was it really a good idea for Charlie to take candy from the doorstep of the witch's house? And what about the inter-school game of capture the flag played with stinky water balloons? 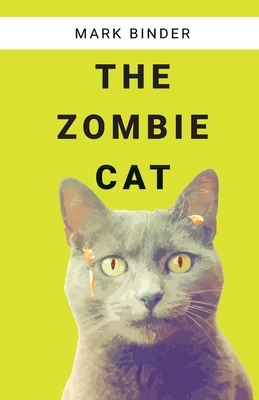 Written for young people and adults with a sense of humor, The Zombie Cat includes seven stories plus a full length chapter book (novella). Mark Binder is the storytelling author of more than 20 books and audio books, including It Ate My Sister and It was a dark and stormy night... Much of his work is multigenerational for diverse audiences of listeners and readers. An internationally renowned performer, he tours the world sharing truths, telling lies and transmitting joy.